I am in Birmingham because injustice is here. In any nonviolent campaign there are four basic steps: collection of the facts to determine whether injustices exist; negotiation; self purification; and direct action. We are caught in an inescapable network of mutuality, tied in a single garment of destiny. Whatever affects one directly, affects all indirectly. Never again can we afford to live with the narrow, provincial “outside agitator” idea. 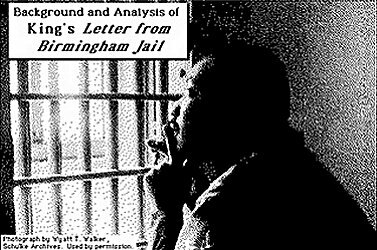 — Letter from a Birmingham Jail, Martin Luther King Jr. This entry was posted on Monday, January 17th, 2011 at 7:39 pm and is filed under Eating from the same bowl. You can follow any responses to this entry through the RSS 2.0 feed. You can leave a response, or trackback from your own site.